If saving your life meant condemning your soul, what would you do? 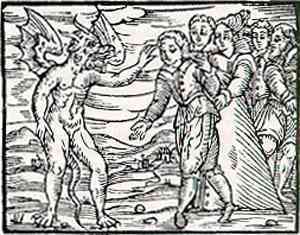 In Salem Village, under Puritan rule, it was understood that a tangible and perpetual war raged between good and evil. In this war, every Puritan was a soldier for good and every Puritan soul was a battlefield. Any sin, every sin, was an invitation to evil – lying, gambling, murder, adultery. If those sins were not confessed, and therefore not forgiven, then evil grew stronger, darker, and threatened not just the unrepentant sinner but all those around him or her. 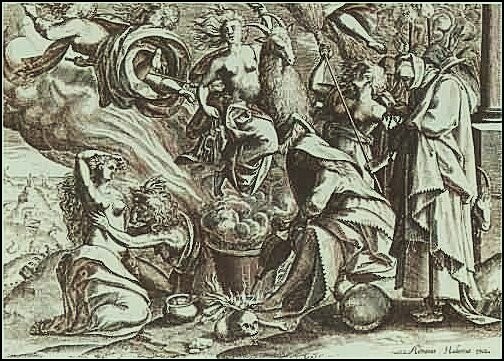 Imagine then, being brought before the court as an accused witch. “Have you committed this heinous offense?” they would ask. “Nay!” you would say, for you would know in your heart you have not chosen to harm anyone, you have not sacrificed your soul to please Satan, nor would you ever. But a confession could save your life, for it was upon confession to the congregation, upon true repentance, that Satan and his control would be cast aside and your sins would be forgiven. You would need only to expose others who had sinned by, themselves, making a similar pact with the devil, and you would not hang like the condemned, but would be freed instead. Of course, you would confess, would you not? After all, everyone sinned. You as well. And surely, at some point in your life you committed some act that you, perhaps, did not think so bad as to warrant a confession. Or, perhaps, at some point in your life, you did not realize you had sinned. Either way, you had not confessed. And by that inaction, a pack with the devil was formed. He was now in your heart, controlling your thoughts and actions, owning your soul and threatening the safety of all those around you. How could you have allowed this to happen? Your friends and neighbors are terrified. They are certain you are the doorway through which evil will control not just you, but them as well. Their inaction will allow evil to win the war. It cannot be permitted. Everywhere they look, all they see, all they hear, all they think, could be some trick of Satan, for he was ever teasing, ever testing, ever searching for new souls to possess. New ways to conquer all that was good. You will confess, for it will save not just your life and your soul, but also those of your neighbors. Be cautious, though. For everyone who confesses, for yourself as well, the confession must be true. If it is not, if confession springs from your lips as a means to save your neck from the gallows not from a true desire for forgiveness, or if you say you have made this pact with the devil when you have not, your life may be spared but your soul would be banished to perpetual darkness for, you see, a lie is as great a sin as any. The path is unclear for either could be some trick of evil. If saving your life meant condemning your soul, what would you do? 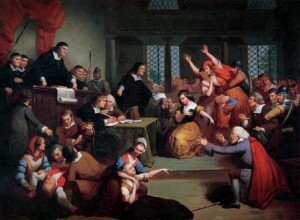 In Salem Village, under Puritan rule, it was understood that a tangible and perpetual war raged between good and evil. 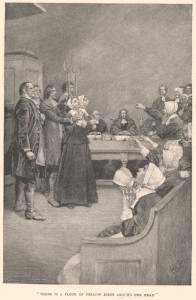 In this war, every Puritan was a soldier for good and every Puritan soul was a battlefield.